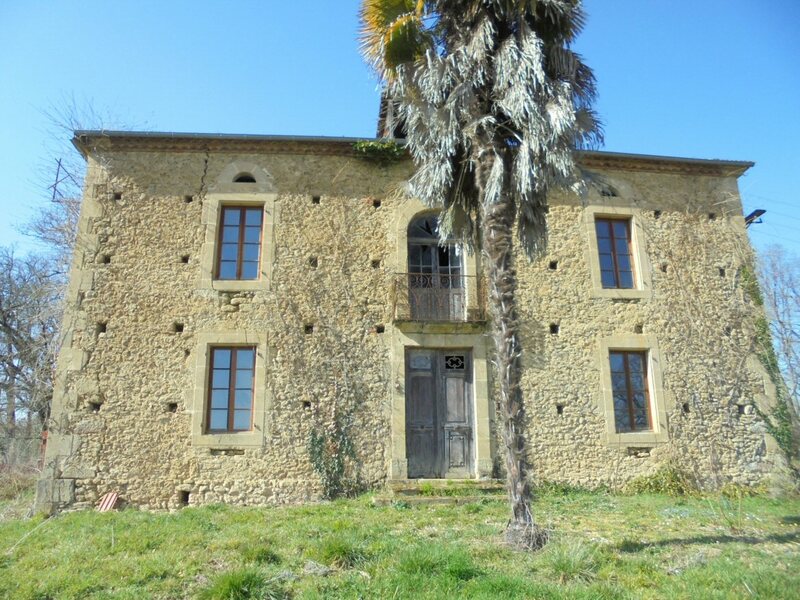 Old Gascon farmhouse, with original features, requiring restoration. There are stone built outbuildings and a source. The property is set in mature grounds with magnificent views. The property sits in a secluded and rare situation at the end of a lane overlooking a lake. There are 4 main rooms (2x25m² and 2x 18m²)on the ground floor with a wide central hall with staircase. To the rear lies a lovely barn space (95m²) which is incorporated into the main structure. This space could be converted into the living space and opens a wide range of possibilities for a conversion project. The upper level mirrors this layout and there is space to create further accommodation in the generous loft space. Numerous ancient oak trees on rolling land create an idyllic setting for this property. A stone built chai (70m²)sits to the rear of the main house and set further back on yet higher ground there is an open barn with stone wall and timber construction. The septic tank is new, double glazing and general sound structure.